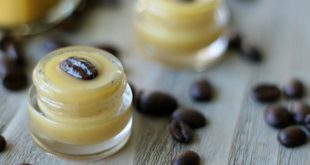 How to make natural homemade mosquito repellent candles that repel mosquitoes, gnats and all other bugs. Easy, 2 Ingredient Tutorial. Summer is here! For my family that means plenty of sun, fun, grilling, entertaining on the patio, outdoor adventures galore and…. I don’t know about where you live, but during this time of year here in the boonies of Red Lion, Pennsylvania, the mosquitos, gnats and bugs are really bad! 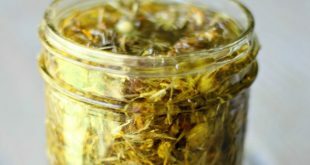 For the past 4 years, I’ve been using this Nature Shield essential oil to make my homemade mosquito repellent oil that I completely swear by. 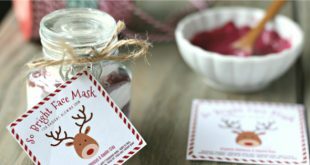 And this year, I started making super easy, natural mosquito repellent candles using that same essential oil, too. Not only do we have mosquitos around here in the summer, but we have tons of itty, bitty annoying bugs, too. I have no idea what they are – they don’t bite or don’t really even bother us, but they hang out by the hundreds all around our doors. Whenever I open the door to go inside, I let about 50 in at a time…ahhh!!! 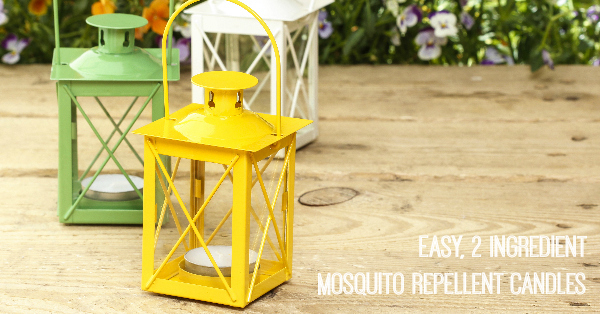 These mosquito repellent candles have been our answer. I line the corners of my deck with the mosquito repellent candles when we are outside and everything leaves us alone. Mosquitos, gnats and all other bugs stay far, far away. It’s awesome! Everyone who comes over here raves about how well these candles and the essential oil work. And I promise, these natural mosquito repellent candles are the easiest thing in the world to make. Like you basically don’t have to anything. Promise. If you’ve been following my blog for awhile, you know by now that I’m all about simple, fast and easy. If there is a way I can make something easier, faster and more efficient, I’m all over it. If you are like that, too, I think you’ll like it around here and I hope you’ll stick around for easy, healthy recipes and natural living tips and tutorials. And if all that healthy, natural stuff sounds right up your alley, you can also subscribe to my FREE weekly email newsletter HERE where I share a lot of tips that I don’t share on my blog. But seriously, you cannot get any easier than these candles. It’s embarrassing simple. In fact, I almost didn’t post this DIY mosquito repellent tutorial because it’s so ridiculously simple. But I swear by these mosquito repellent candles. We’ve used them every warm night so far this year and they really do work so you need to know about them. Are you ready to learn how easy this is? Here you go! Use a plain, unscented candle of your choice. It doesn’t matter what size. You can use tea lights or pillars in whatever size you want. I personally love using THESE natural beeswax candles. They are a bit more expensive than regular candles, but they are totally worth it. They have a super long burn time – much, much longer than wax candles. And they are all natural, which is really important to me. Most candles are made of paraffin wax, which creates benzene and toluene when burned…both are known carcinogens. On the other hand, beeswax emits negative ions, which purify and cleanse the air! Love ‘em! I get mine HERE. Light the candle and allow it to burn for a few minutes. Then add 2 drops of THIS essential oil into the melted wax of the burning candle, but be very careful NOT to put the essential oil directly on the flame. It’s flammable! These candles will repel mosquitos and bugs for about 3 hours. 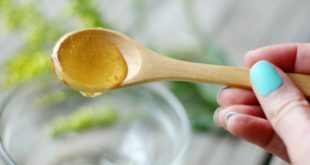 After 3 hours, add an additional 1-2 drops of essential oil onto the wax, again being careful not to get it on the flame. 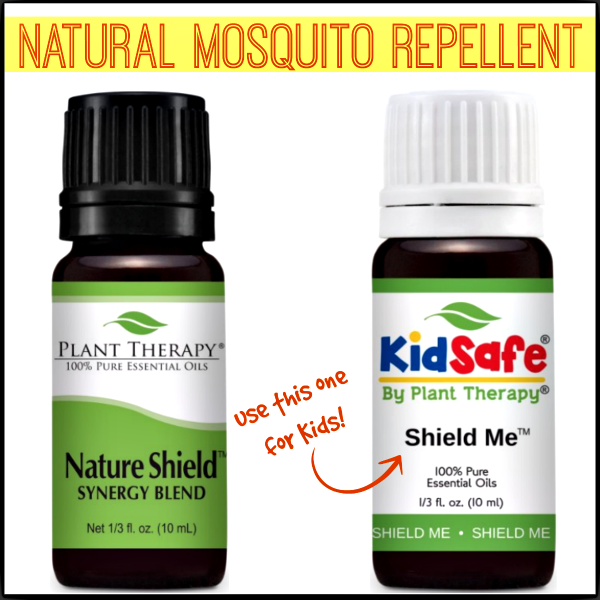 Want to know what else you can do with Nature Shield Essential Oil? 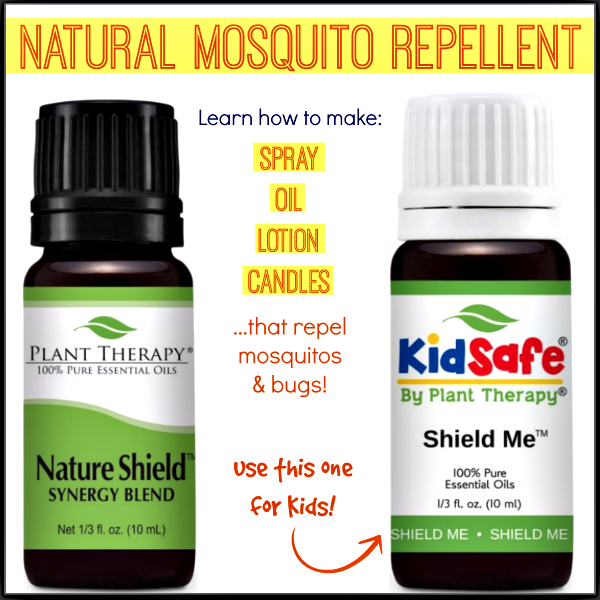 Use THIS simple recipe, but swap out the Rose Geranium with the Nature Shield and you’ve got yourself a great Mosquito and Bug Repellent Spray! This is even easier! Just squirt some of your favorite lotion in your hands (about 2 teaspoons), add 1-2 drops of Nature Shield. Blend with your fingers and then apply to your body and wah-lah! A super easy bug repellent lotion! Enjoy your mosquito and bug-free summer! This is awesome Kelly! When I saw the title I thought it would involve melting wax, pouring into molds, and having a big mess to clean up. This I can actually handle! I’m definitely getting the oil…we get tons of gnats this time of year and they drive me crazy!